My last post was probably premature. I should have saved it for today. Instead, we'll call this Part Two. Real quick, check out my last post. As you can see, I have nothing to be insecure about whatsoever. Well, maybe just a little. Luckily, I can laugh at myself. I'd like to provide a caveat to that graph. Yes, I have technically been working on that same novel for the past ten years. I have also worked on other stories in that time period. I also completed all of high school, a 4-year bachelor degree, and a master's degree in that time period. So it's not as though my work on that particular story is anything near being constant. But also, nearly everything I currently know about writing was learned in these last 10 years. Journals, short stories, nonfiction articles, memoir essays, I can't even remember what all else. Just writing a lot, a lot of the time. Everything I can get my hands on: fiction, short stories, novels, romance, fantasy, biographies, memoirs, history, science, magazines, journals, fanfiction, half of the internet. I'm currently focusing on my Read More Classics project. Most of them are friendly and most of the time reading their writing and talking with them about the same problems I have is immensely useful. Also writers seem to make good friends. They tend to be able to consider things from multiple perspectives, which is good in a friend and which I believe to be intimately connected with a certain power of imagination. This one is under-utilized, in my opinion. Like a book? Write the author and tell them so. Ask them a question. Nearly every time I have written to someone whose work I enjoyed, they have written me back. They answer my questions. They have to be smart questions though, not questions that are answered by, oh, say reading the book. I shouldn't have to say that. But seriously, I have a response rate of over 75%. I have written to authors and said "I love this character. How did you develop him?" or "The structure of this book works so well! What made you decided to do it this way instead of another way?" And I have gotten answers. I'm putting this one last because it encompasses all of the above. I now have two degrees in writing. (I know; what was I thinking.) And the programs were amazing; I would not hesitate to recommend the Purdue Professional Writing program or the Johns Hopkins Masters in Writing program to anybody. But basically what they did was make or teach me to do the above items. 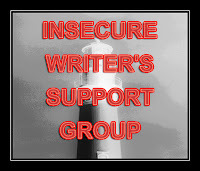 I was doing a lot of writing a lot of the time; a lot of reading and critical analysis of writing; befriending my fellow writers and forming connections I expect to, in most cases, be lifelong friendships; and learning how to write from excellent writers. So that's what I've been doing the last ten years while I was repeatedly failing to finish my novel. Oh, and also? My degrees aren't even in creative writing or fiction. But you know what is totally crazy? Maybe nonfiction comes at it a slightly different way that fiction, but I don't think that writing the two are really that different. Ultimately, it's narrative and character and tension and boom! story.